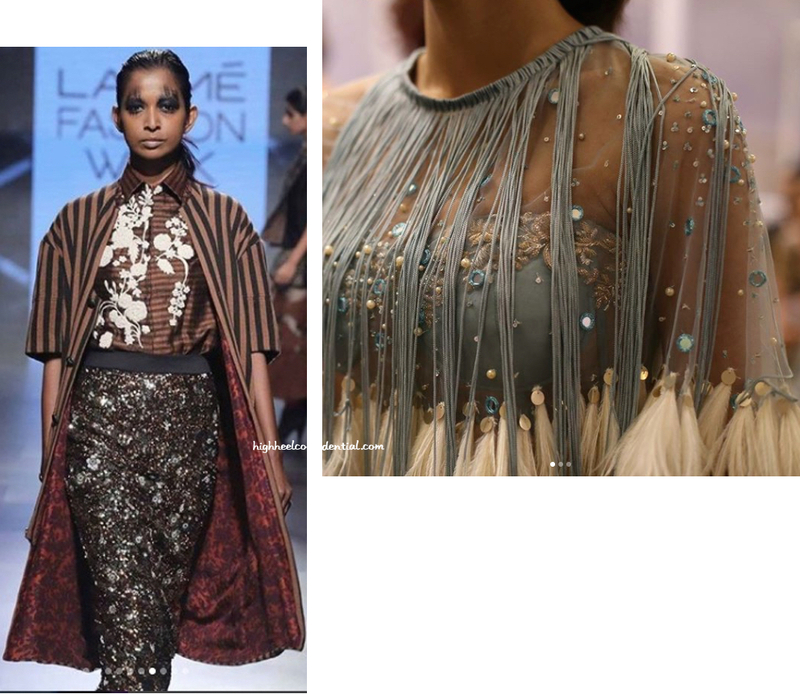 Having sifted through the usual winter party cocktail mix of faux fur, sequins, leather and big earrings, here are five new looks/trends that stood out from the recently concluded Lakme Fashion Week Winter/Festive 2017. Cocktail dresses are fine, but something has to be said to said about a woman in high waist graphic pants and a high shine metallic blouse. 431-88 sent out their ‘Studio 5’4 top tucked into a 70s style pant. The tuck in did the trick. And here I have spent so many days trying to ‘balance’ a voluminous bottom with a fitted top. A contemporary style story set in a vintage backdrop, Amit Aggarwal is one of the most lusted labels on these pages. This season, we can’t stop staring at his saris. His signature moulding and cording, architectural/industrial vibe, high sheen and structure in his fortified weaves, now to wait and watch when those saris and bodices make an appearance on the red carpet. Every few months I resolve to be that fashion forward person who effortlessly mixes textures and clashes prints. Then, I just go back to wearing blue jeans with anything and everything. I envy the ease with which Gen Next designers Saaksha & Kinni mixed a sequin spangled skirt with stripes and floral. 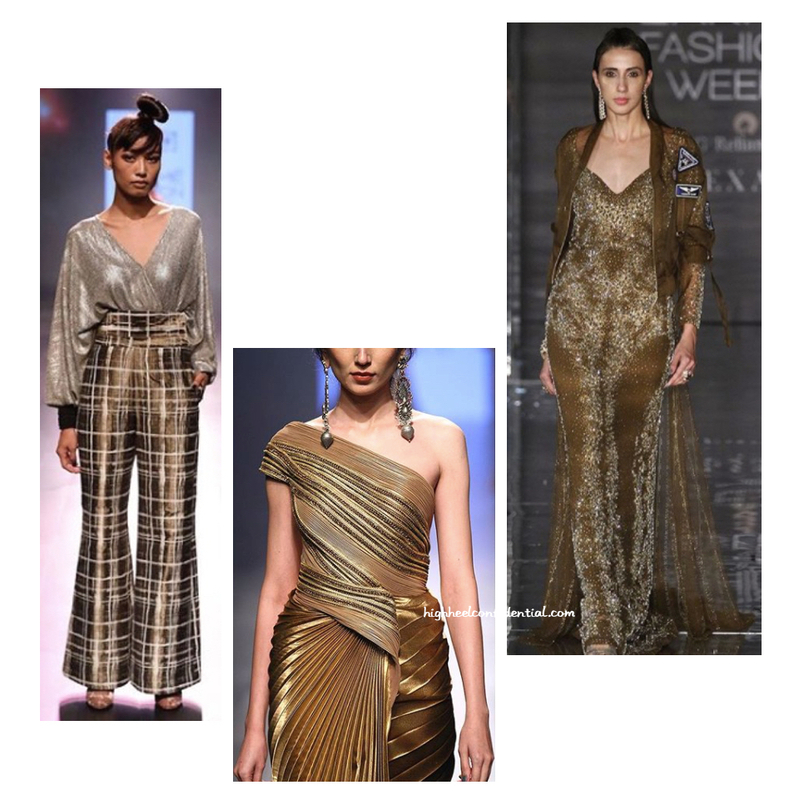 Favored by everyone alike, from emerging labels like Monika Nidhii (in picture) and doyens like Manish Malhotra, what’s Winter/Festive without some tassel or fringe-induced drama? PS: Whether or not I get my hands on a fringed skirt or blouse, am definitely not taking off my tassel earrings this entire season! Update: Congratulations Tanvi Batra; look out for an email from us! 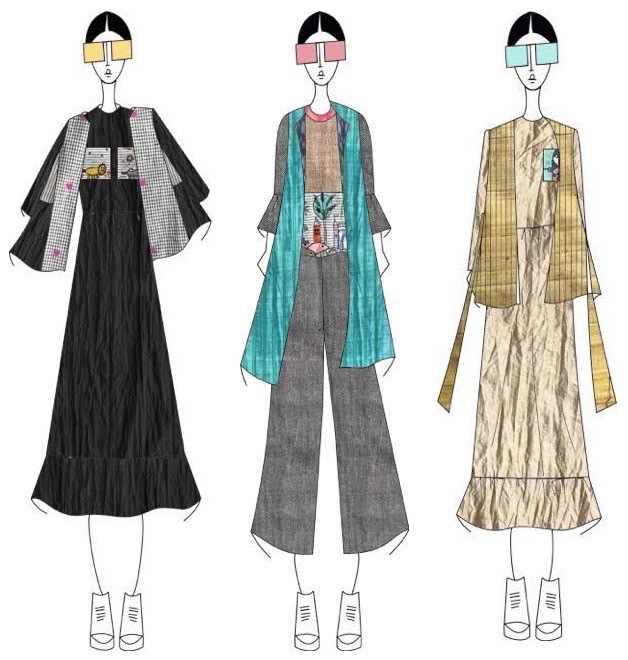 It’s Fashion Week season and a lucky Mumbai reader of ours stands to win two passes to The Meraki Project‘s show at Lakme Fashion Week (16th August, 2017 at 4:30 pm). Leave your answer in the comment section below and you stand a chance to win two passes to the show in Mumbai. – All comments will be pending moderation until contest closes. – Contest closes on 14th August, 2017. – We’ll pick one winner from pool of qualified entries. – One entry per person only please. – Giveaway open only to residents of Mumbai. – Participants must be 21 years or older only.